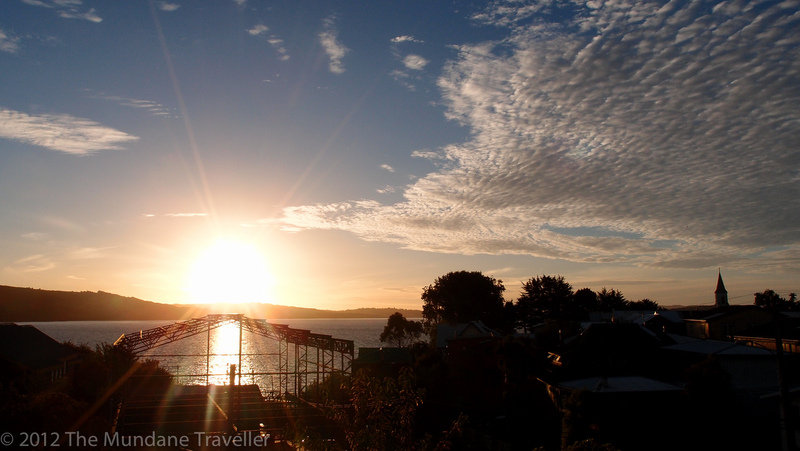 I took this beautiful sunset from the youth hostel 13 Lunas just next to the bus station in Ancud, Lake District, Chile. 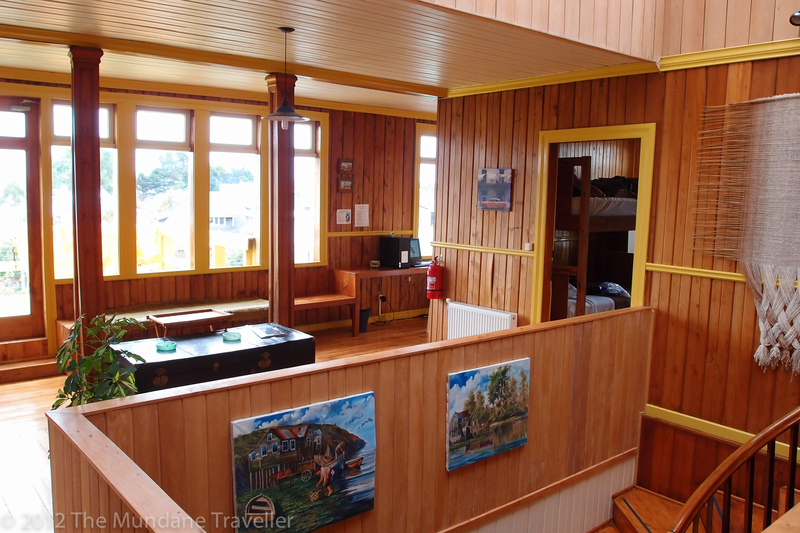 One of the best and coziest youth hostels I have been to. Camera: Olympus XZ-1, ISO 100, 1/250, f2.8. A great premium compact with fantastic JPG image processing.